First: A picture of my dear old dad Ray with his brothers. From left to right: Uncle Deloy, Uncle Elvin, Uncle Harold, and my daddy. 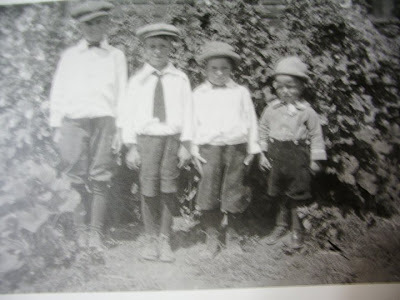 My favorite part of this picture is that my little dad is standing on a rock to be tall like his brothers. I love the hats, the shorts, the shoes...EVERYTHING! My parents had this picture framed and hanging in their den when my dad passed away. I wanted that picture more than anything. I didn't get it but, I did get this little tiny one. I treasure it. Second: Pictures of my mom's parents are rare. This is one of the few I have ever seen of them together. 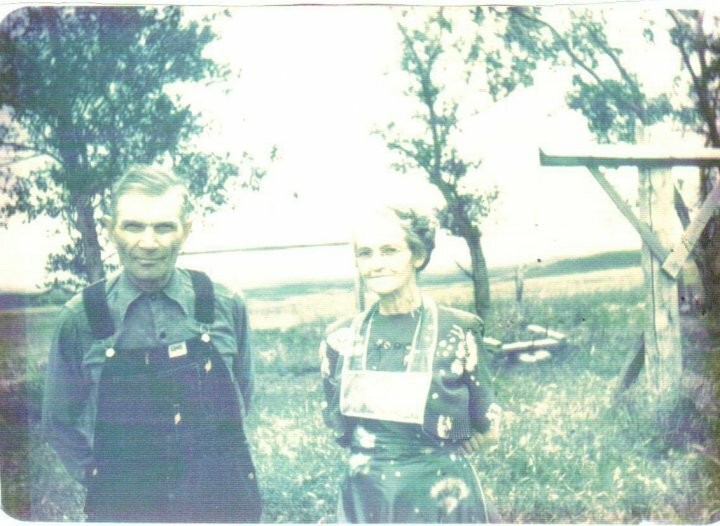 This is Fred and Ione Walburger. My grandma died before I was born. "Pa" died when I was 14 years old. After I got my ears pierced, he bought me an orange ferris wheel to keep my earrings organized. I didn't know him well. I wish I had. I am their youngest grandchild so I missed out on a lot. I wish I knew more about them. What great pictures! I love old pictures, they are so fun to wonder what the people are like and what was their life like.